In February 2017, the United Nations declared there are 20 million people, including 1.4 million vulnerable children, at risk of death over the coming months in four countries (South Sudan, Yemen, northeast Nigeria and Somalia) due to food shortages. The Catholic Bishops of South Sudan issued two communiqués appealing for international assistance and calling for peace and reconciliation among their people. The famine crisis results from ongoing armed conflicts and severe droughts, with hundreds of thousands of people being displaced from their homes and land. A declaration of famine had not been made by the UN since July 2011 when some 260,000 people died in Somalia – half of them children under the age of five. On April 27, 2017, the Most Reverend Douglas Crosby, O.M.I., Bishop of Hamilton and President of the Canadian Conference of Catholic Bishops (CCCB), the Most Reverend Archbishop Fred J. Hiltz, Primate of The Anglican Church of Canada, and the Reverend Douglas H. Rollwage, Moderator of the 2016 General Assembly of The Presbyterian Church in Canada signed a joint ecumenical letter addressed to the Prime Minister of Canada concerning the deteriorating situation in South Sudan. In June 2017, a national ecumenical and interfaith appeal entitled “Pray – Give – Speak – Out” was launched to help address the severe food crises in South Sudan, Yemen, northeast Nigeria and Somalia. Twenty-seven faith communities in Canada mobilized in response to one of the world’s largest humanitarian crises since the Second World War: the grim reality of multiple famines occurring simultaneously in four separate countries. Three Canadian Catholic aid agencies coordinate action in response to the appeal. 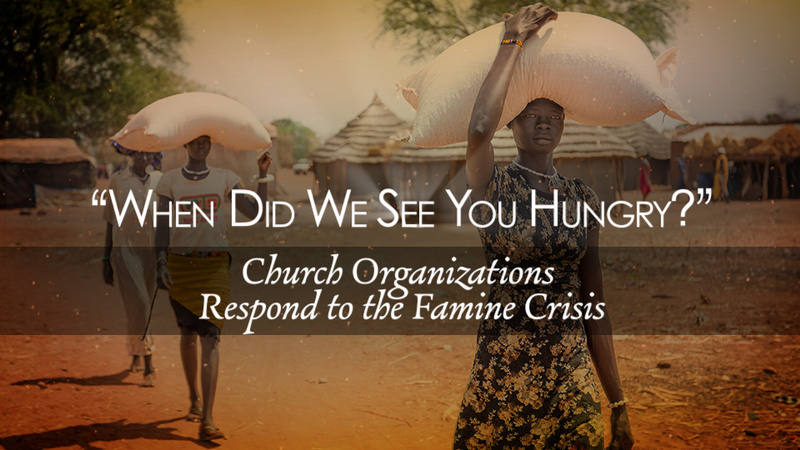 In this televised round table discussion, leaders of four Catholic agencies speak about the famine and the Church’s response to this major crisis affecting millions of people. Fr. 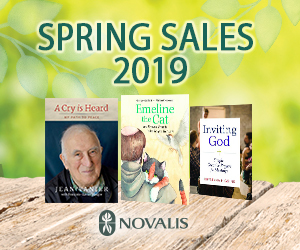 Thomas Rosica, CSB, CEO of Salt and Light Catholic Media Foundation moderates the conversation between Most Rev. Douglas Crosby, O.M.I., Bishop of Hamilton and President of the Canadian Conference of Catholic Bishops; Luke Stocking, the Central Ontario animator for the Catholic Organization for Development and Peace; Marie-Claude Lalonde, National Director of Aid to the Church in Need; and Jenny Cafiso, Director of Canadian Jesuits International.